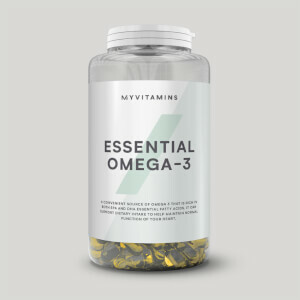 Omega 3-6-9 contains EPA (eicosapentaenoic acid) and DHA (docosahexaenoic acid) — both support your fitness goals, alongside your general wellbeing.1,2 As your body can’t make these on its own you have to get them from your diet, but it can be difficult to get enough from what you eat alone. 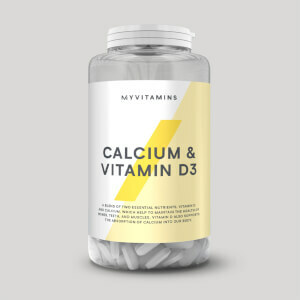 Plus, we’ve added vitamin E which is a natural antioxidant4 — super-important whatever your lifestyle or fitness goals. 1. EPA contributes to the normal function of the heart. 2. DHA contributes to the maintenance of normal brain function. These beneficial effects are obtained with a daily intake of 250mg of EPA and DHA. 3. ALA contributes to the maintenance of normal blood cholesterol levels (beneficial effects with a daily intake of 2g ALA). 4. Vitamin E contributes to the protection of cells from oxidative stress. Take 1 softgel daily, preferably with a meal for the maximum benefits. What does Omega 3-6-9 work well with? Omega 3-6-9 is great for making sure you hit your daily fish oil requirements, even with a busy lifestyle. Stay on top of other essential nutrients with our Daily Multivitamin tablets — each one is packed with seven important vitamins and minerals. Omega 3 Fish Oil (Eicosaperntaenoic Acid 18%), Docosahexaenoic Acid 12%), Flaxseed Oil (ALA 50%), Sunflower Oil, Softgel (Gelatin, Glycerol, Purified Water), Antioxidant (Vitamin E). For allergens, see ingredients in bold. Made in a facility that handles Milk, Soy, Egg, Gluten and products thereof. 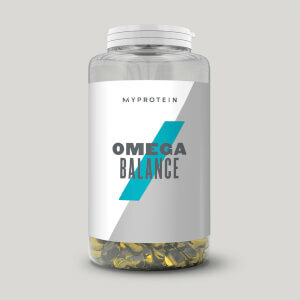 As always with myprotein these are a qualitty product but for me I realised that the addition Omega 6 and 9 aren't of any benefit given the availability in vegetable/plant oils. My advise is just go with Super Omega 3 instead. 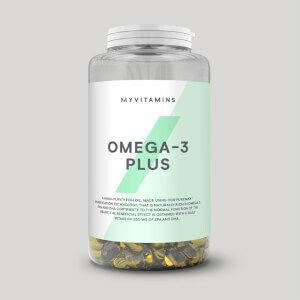 Usually always have to take 3 tablets of omega3 in my experience but with this it is just one tablet a day which is great as never the nicest products to swallow! Do not drink a hot drink before or just after swallowing one of these. It seems obvious but I'm just saying so another person doesn't have one rupture in their mouth and taste fish oil all afternoon hahah. The capsules have no immediate flavour (if intact, which they all are initially) and they really benefit my overall health. They're a part of my evening routine as I take them and a multivitamin with dinner. Starchy food if you have trouble swallowing pills, any cold or room temp drink if not. Doesnt leave bad after taste like other Omega brands. Using around 3 mounts, great product, need just 1 per day. I found these omega 369 tablets excellent! I have rheumatoid arthritis and I find fish oils to be very beneficial in my diet to aid in lubricating my joints. I must also add that the taste of these tablets are are brilliant; usually I find that fish oil tablets have a very strong taste that can often be nasty, but these have no taste at all. Great product all round.